Is the need for privacy a by-product of large society? Regular readers of this place may well recall my decision to ditch Windows OS and buy a new Apple Mac Mini articulated in a post earlier in the month, Closing my Windows. Here’s a brief extract from that post. According to leaked internal documents from the German Federal Office for Security in Information Technology (BSI) that Die Zeit obtained, IT experts figured out that Windows 8, the touch-screen enabled, super-duper, but sales-challenged Microsoft operating system is outright dangerous for data security. It allows Microsoft to control the computer remotely through a built-in backdoor. Keys to that backdoor are likely accessible to the NSA – and in an unintended ironic twist, perhaps even to the Chinese. That did it for me – time to move on from Windows. Frank from across the street is an alternative operating systems hobbyist, and he has tons of computers. He has Free BSD on a couple, his own compilation of Linux on another, a Mac for the wife, and even has Solaris on yet another. Frank knows systems security, so he cannot be hacked . . . or so he thinks. The new Intel Core vPro processors contain a new remote access feature which allows 100 percent remote access to a PC 100 percent of the time, even if the computer is turned off. Core vPro processors contain a second physical processor embedded within the main processor which has it’s own operating system embedded on the chip itself. As long as the power supply is available and and in working condition, it can be woken up by the Core vPro processor, which runs on the system’s phantom power and is able to quietly turn individual hardware components on and access anything on them. Accessing any PC anywhere, no matter what operating system is installed, even if it is physically disconnected from the internet. You see, Core vPro processors work in conjunction with Intel’s new Anti Theft 3.0, which put 3g connectivity into every Intel CPU after the Sandy Bridge version of the I3/5/7 processors. Users do not get to know about that 3g connection, but it IS there. Naturally, I huffed and puffed as I read the article. However, later on came the thought that maybe this is a great journey of ‘ever-diminishing-returns’, as in this journey of ‘us’ versus ‘The State’. A journey that misses something very fundamental. I’m proposing that the drive for privacy is an inevitable by-product of the country that we live in being seeing as one huge society. That in that huge society, we can only maintain our own unique individuality through a degree of privacy. Otherwise, we are nothing more than an irrelevant tiny part in the big scheme of things. But if one reflects on how smaller societies function; from local communities down to families, then that need for privacy is greatly reduced. Because in those smaller communities, we are seen as an individual with all the associated hues of our own individual personality. We get to know others, and those others get to know us, as individuals – that’s how communities function. Then a much more important value comes into play; that of trust. It’s my impression that we only properly engage with those that we trust. Again, how communities function! I continued to play with these thoughts. Even putting the issue of privacy to one side, the range of benefits that flow from our local communities is over-whelming. All the big issues facing humanity today can only be dealt with effectively at the local level; the community level. Federal government is primarily for defense. Most other government can be pushed to local politicians. People need to be free and think free. They need to hope. In too many countries around the world, there is little hope for a better life. People need to learn to be accountable and solve their own problems, first at local levels. So, perhaps, worrying about our privacy and the increasing invasion of that privacy misses the point. Because if in the next few years, a couple of decades at most, we do not adopt the core principles of a caring, sharing world; the lessening of a greedy, materialistic, me-me-me world, then I fear greatly for not only all of humanity but for the very future of the planet as an oasis of life circling a rather insignificant star in a very lonely cosmos. So park privacy to one side. See it as a symptom of these broken ‘focus-on-self’ times and look forward to a new caring, sharing world made up of countless conscious and mindful societies. Embracing the values of animal societies, even to embrace the most successful species of animal ever; the dog. (As measured from the perspective of the dog’s association with man.) Not only far back into ancient history but right now in these strange and troubling times. Embracing what millions of dog lovers across the world experience every day; the integrity of the dog. Local societies and local communities are the only social structures where integrity makes sense, and can be seen to make sense. Where the values of that society bring people together. 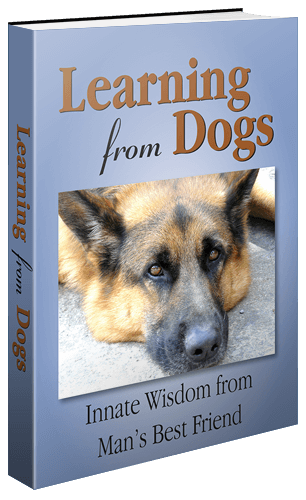 Where these qualities that we see in our dogs are mutually reinforcing. I’m speaking of unconditional love, loyalty, stillness, play, openness, faithfulness, valuing the present, forgiveness, happiness, meditation, and sensitivity; all in that wrapper of integrity. Think about it! 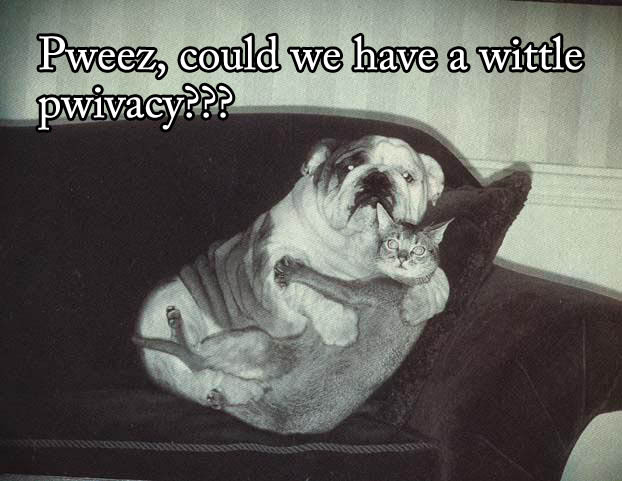 Do you ever see a dog worrying about privacy! Privacy is sacred. Privacy allows the individual to be an individual in the framework of community. It is a dangerous slippery slope to argue for the sacrifice of privacy. Human civilisation is built on control, which requires that the ruler needs to know what we do, think and say at every moment. To give in and accept that privacy is no longer viable is to give in to those that control. There are ways around these new developments of privacy invasion including using older machines and chips, avoiding the newer chips. Alex, what I was trying to convey was that within smaller communities there is no need for such levels of privacy. Ergo, if the ways of command and control you speak of are inherent to the nature of mankind then the outlook is pretty grim, privacy or not. If the government spies on me, it’s going to be very boring… Secondly, in some cases (airline pilots, operator of dangerous machinery, doctors, bus drivers, people having direct access to our mighty leaders, etc.) thorough controls are unavoidable. At the same time, there is total egomania in full view all over the Internet…. What Alex says about “the ruler” is a no go situation: we have to remove the very notion of “the ruler”…. By augmenting the DEMOCRATIC index. ” So, perhaps, worrying about our privacy and the increasing invasion of that privacy misses the point. We who use the internet to blog especially have to understand that its a public domain, I understand how invasive are the bugs now in place to tap into our Pc’s as nothing in the technical world is Sacred anymore. I even heard many moons ago that in some PC’s just tapping out certain key words linked with terrorists can send the alert out ..
And if our PCs are controllable via remote! then whats to say of those taking it one stage further and planting evidence within a hard-drive! gets the brain really ticking into those spy thrillers we watch on TV and Film which seem far out and far-fetched, but are they? What technology do they have? We live in a society that is built on Mistrust and it keeps us being suspicious of one another! all adding to that Pot of FEAR that some just love to deal in..
No, thank you for your thoughtful comment, Sue. Wow, love this blog posting. Sure it is from awhile ago. But the information is completely rellavent to now. Thank you for sharing. Well, thank you for having a bit of a wander through this place!